Coastal Connecticut 2010 Color Orthophotography is an aerial survey of 2010, leaf on, color imagery for the region encompassed by Connecticut municipalities located along the Long Island Sound coastline and along the main stem of the Connecticut River up to the Massachusetts State line. 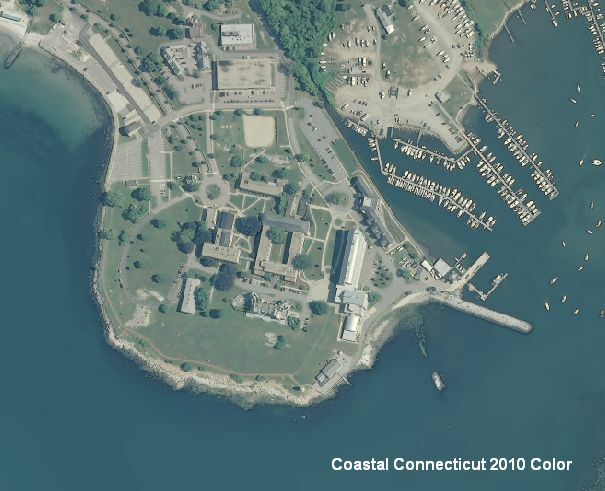 The ground resolution for this imagery is 1 foot (0.305 meter) per image pixel. Orthophotography combines the image characteristics of a photograph with the geometric qualities of a map. 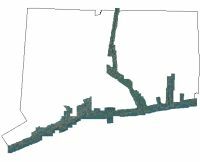 It depicts land use, natural resources, vegetation, and other features and characteristics in the immediate shoreline areas of Connecticut during the summer of 2010. This orthophotography includes 4 color bands, allowing for the display and analysis in natural color or color infrared. The nearby example is in natural color. This leaf-on, natural color imagery serves a variety of purposes from observing vegetation and crop condition to supporting identification and mapping of habitat areas through photo interpretation.